This was my favourite survey in 2014. It was a Cumbria Wildlife Trust nature reserve between Penrith and Keswick. The special feature of the site was a series of roughly parallel valley mires between ridges. 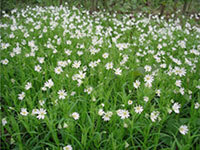 The wetland vegetation types included M4, M6, M9, M18, M21 and S27. There were 18 Sphagnum species including abundant Sphagnum contortum in the M9 vegetation. I also found 20 Carex species including Carex diandra, Carex limosa and Carex pauciflora. In 2013 we set up a bog vegetation monitoring scheme at Durham Wildlife Trust's Stanley Moss nature reserve near Tow Law. Half of the site had recently had conifers removed and the other half had not been planted. 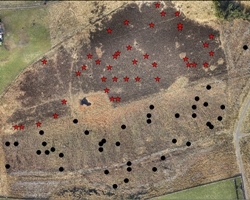 We surveyed 40 quadrats in random locations on each side of the bog, counting how many of 16 cells in each quadrat each plant species was present in. Neither side was in optimum condition, but the management is now more favourable. The next time the survey is repeated we will be able to judge how sucessful the change in management has been. More about this on our statistics page. 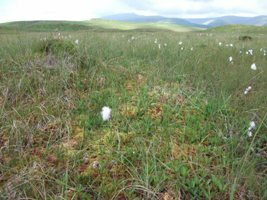 PTYXIS is an ecological consultancy specialising in detailed botanical (including bryophyte) surveys, habitat surveys, ecological monitoring and data analysis in Northumberland, Cumbria, Durham, Yorkshire and Scotland. 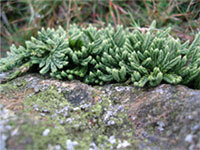 We also run ecology and plant identification training courses throughout the UK. PTYXIS provides affordable and reliable ecological consultancy services to clients from the conservation, public and corporate sectors. 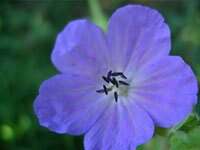 We are now one of the leading specialist botanical consultancies in the UK. Our ecologists are full members of the Institute of Ecology and Environmental Management (IEEM) and adhere to its code of professional conduct. We implement health & safety, environmental and quality assurance policies and hold professional indemnity and public liability insurance cover. We also submit our records of vascular plants, charophytes and bryophytes to the BSBI and the BBS and to the Flora of North-east England website. PTYXIS specialises in detailed botanical surveys, data analysis and habitat management advice, offering affordable and reliable ecological services.